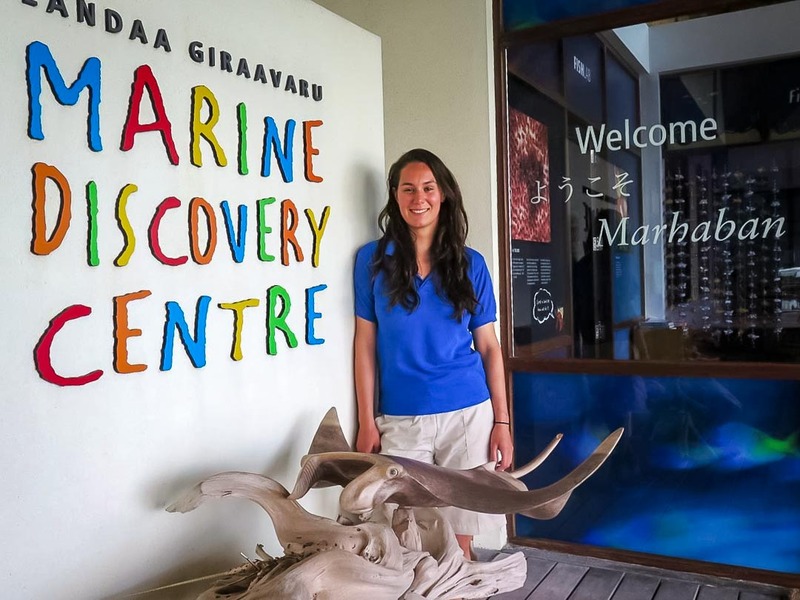 My name is Rosalind and I have recently completed my internship at Four Seasons Landaa Giraavaru’s Marine Discovery Centre. Every day was a different adventure, with turtles to treat, corals to transplant, talks to give and dolphins to spot. It was a pleasure to interact with guests from all over the world, give tours of the Centre, help children fill out activity booklets about marine life and introduce them to the tiny anemonefish bred in the Fish Lab. My first job every morning was to feed and treat the turtles in the rehabilitation centre, then clean their tanks. I quickly learnt that an injured turtle is still a force to be reckoned with! It was rewarding to see the progress made whilst I was at the Centre. 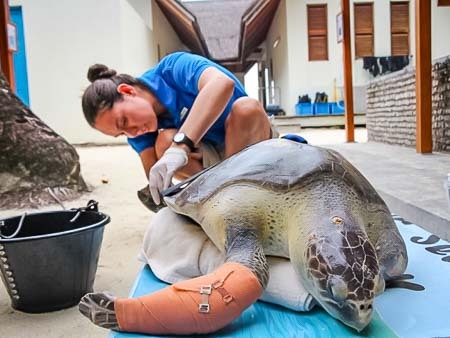 ‘La Petite’ arrived with serious injuries after entanglement with a ghost fishing net, and it was good to see her cuts and prolapse healing so successfully. ‘Elsa’, a turtle missing both front flippers, started diving consistently. 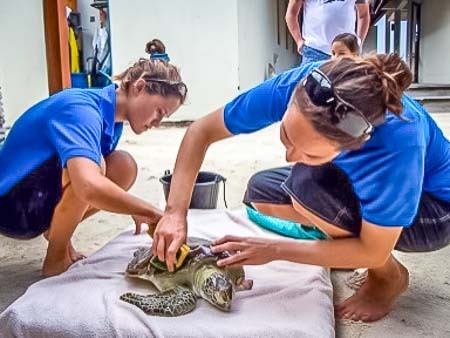 After the flipper amputation of juvenile Green turtle ‘TG’, the wounds healed well and TG soon started diving again, to be successfully released on Christmas Day. 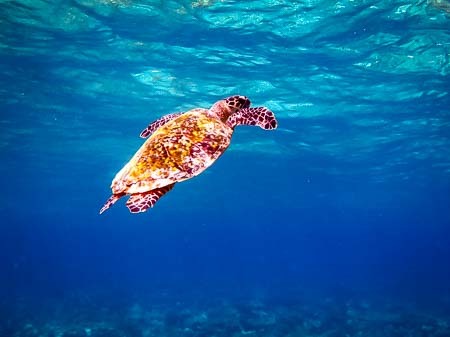 Hawksbill and Green turtles are the two sea turtle species we saw on snorkeling trips. When leading a Turtle Safari, turtles feeding or resting on the reef camouflage perfectly into the coral with their mottled shells and it’s quite a job to spot them. A turtle’s facial scutes are like a fingerprint, with no two turtles having the same pattern. The Maldivian Sea Turtle Project uses photos of these scutes (and the shell) to identify individual turtles throughout the Maldives. 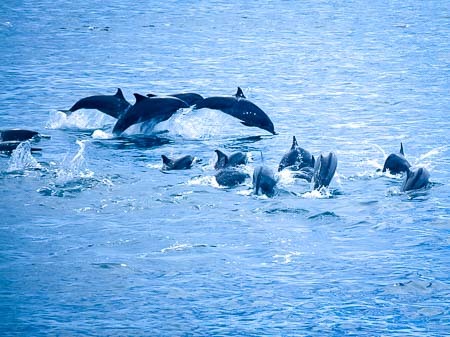 I gave talks on cetaceans, particularly Bottlenose and Spinner dolphins, the species sighted almost every day in the waters surrounding the resort. 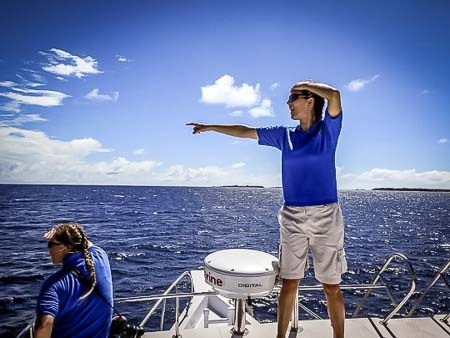 The boat always fell silent as guests and staff concentrated on spotting an elusive dorsal fin or, once we found them, watching in awe of dolphins bow riding our dhoni or jumping high into the air. It is always a thrill to spot the juvenile Spinner dolphins, who stick very close to their mothers but are often the most acrobatic jumpers, putting the ‘spin’ in Spinner. Sometimes we were lucky to spot manta rays too. 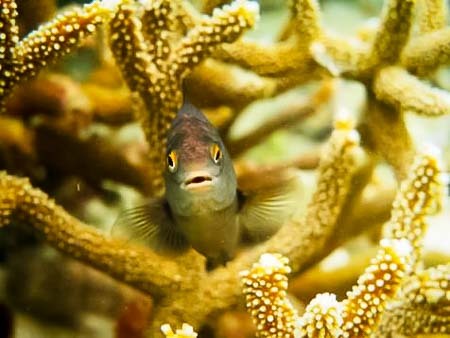 Before each snorkeling trip, I gave talks on corals and the fish species that live around them. It was great to show guests a coral reef for the first time, and to help those that were not strong swimmers experience the ocean. 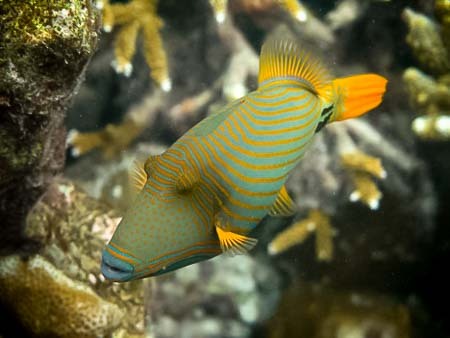 I used each trip to improve my fish id skills and got to see puffer fish, parrotfish, angelfish, butterflyfish, sting rays, lemon sharks, moray eels, eagle rays … and more! 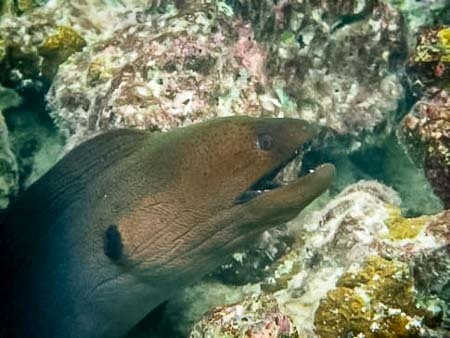 The house reef was a very different place to visit after dark as many species that live on a reef are nocturnal. There was the always the challenge of finding the resting spot of the resident Hawksbill. At the end of the snorkel, all the torches were switched off and everyone waved their hands through the dark water to light it up with bioluminescence. 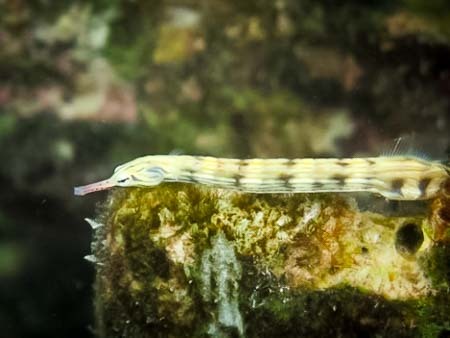 We often saw lionfish, sleeping pufferfish, the Maldivian sponge snail, imperial sea urchins, lemon sharks, a Blotched Fantail ray, scorpion fish and Giant moray eels. The International Shark and Ray Conservation Symposium took place in the resort while I was there and it was enlightening to watch presentations by the world’s leading shark researchers. I was also given the opportunity to proof-read the textbook for the Manta Trust’s new Baa Atoll Marine Education Program. The programme is starting to teach schoolchildren on the local island of Kamadhoo about the UNESCO Biosphere Reserve in Baa Atoll, coral reefs, sharks, turtles, manta rays and waste management. 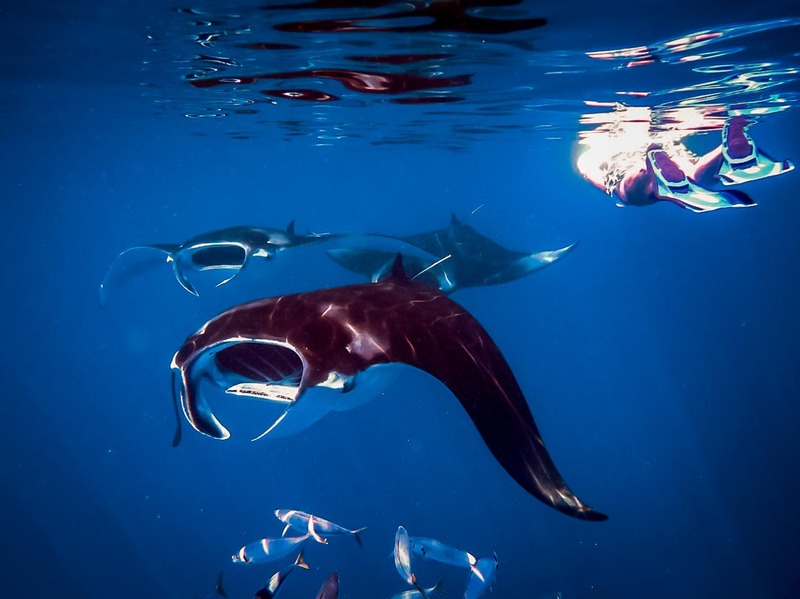 The Manta Trust kindly invited me on a trip on their research boat to see manta rays; seeing these intelligent creatures barrel-rolling just inches from your face is a unique experience. 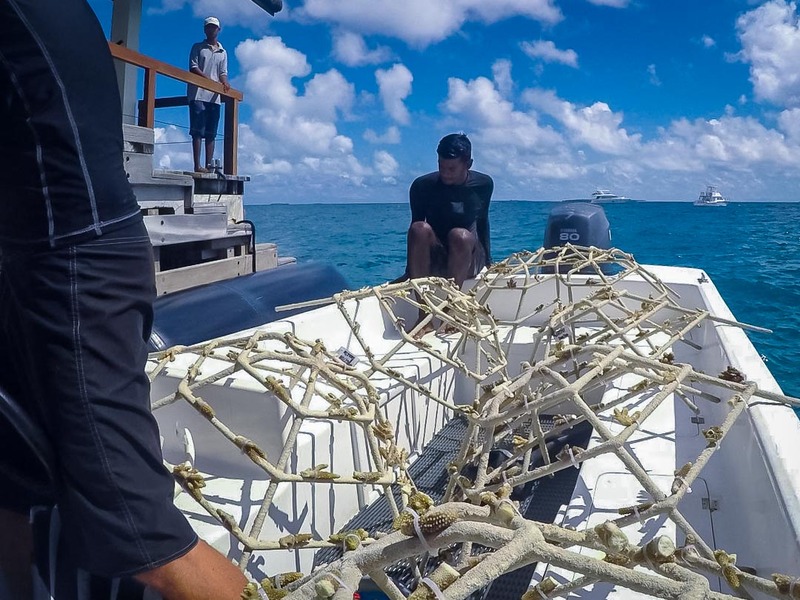 As part of the coral propagation project, I helped attach coral fragments to frames, transport frames to their site and replace dead coral fragments. It was amazing to see the diversity of fish that use the frames as shelter or a food source, and to see 4-year old frames completely covered in healthy colourful corals. Meeting staff, interns and volunteers at the resort, who come from 40 different countries, was one of the highlights of my internship. It has been a pleasure learning some Dhivehi, the language of the Maldives, and hearing about life in an island nation. I got to go to an Indian ‘stag do’, celebrate Diwali, learn some Bollywood dancing from my roommate, celebrate Thanksgiving, play in the staff volleyball tournament and celebrate the Nepalese festival of Dashain. There was never a dull moment on Landaa. I enjoyed star-gazing, got chased by triggerfish, ate at the gourmet restaurants, went on night dives, passed my PADI Enriched Air qualification, tried antigravity yoga, went to outdoor movie nights and tried kitesurfing and stand-up paddle-boarding. I also saved up three of my days off to explore Rasdhoo Atoll, where I was able to go diving on wrecks and see stunning reefs with schools of eagle rays and white tip and black tip reef sharks. Whale sharks were top of my ocean bucket list. I had never seen a whale shark before and the Maldives is one of the few places in the world you can encounter them. With that in mind, I visited the island of Dhigurah in South Ari Atoll, where the Maldives Whale Shark Research Project is based. I was ecstatic to snorkel with 6 whale sharks and to see my first manta ray. The researchers showed me how to take ID photos of the spot pattern behind their gills. Analysing photos helps to identify individual sharks, many of which are regular visitors. I love that they use software initially developed by NASA to distinguish between star constellations and now adapted for whale sharks. From deep space to the deep blue! 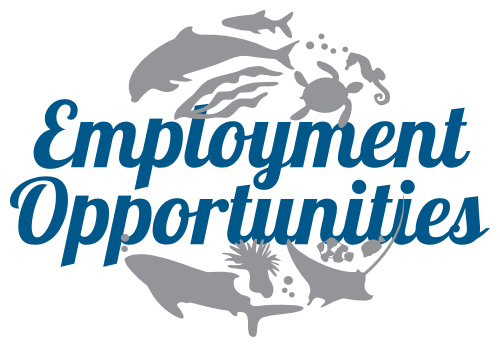 I am very grateful to the Marine Savers team and everyone at Seamarc and Four Seasons for having me as an intern. I learnt so much about turtle rehabilitation, coral propagation, manta rays and identifying many species of Maldivian marine life. 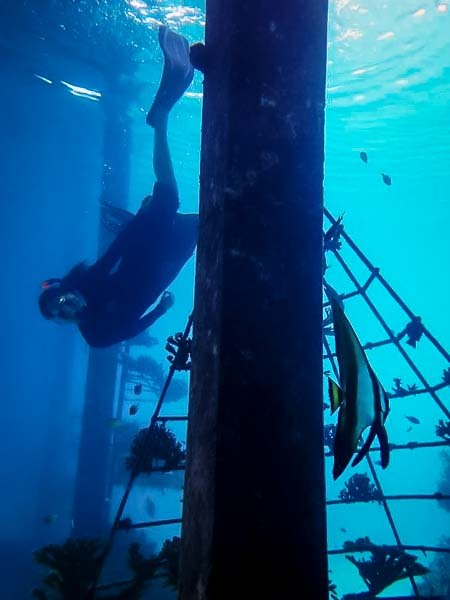 It has strengthened my desire to work in marine conservation and I hope to be back in the Maldives one day!